April showers, bring May flowers . 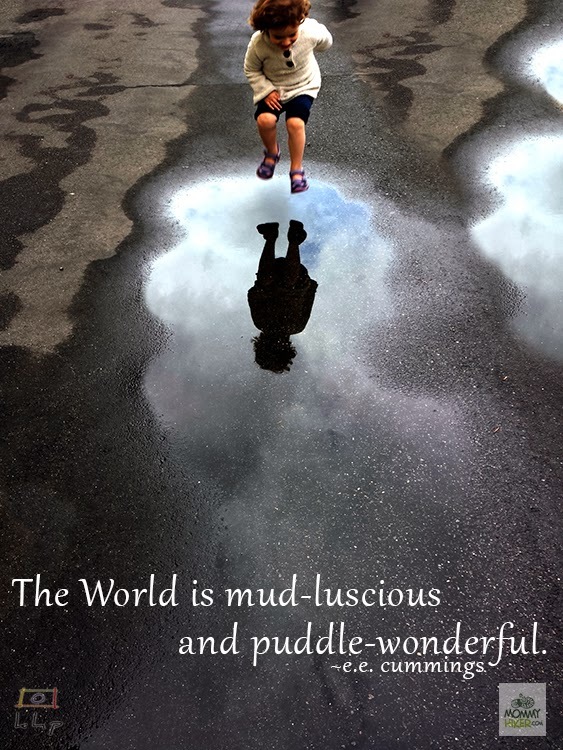 . . and puddles for play. A few summers ago, it was raining and our little Miss L, 3 years old, wanted to go out and do a rain dance. She just ran in circles in the backyard getting soaked. Thanks for the post and it brought back this wonderful memory. What a great story, Audra! Thanks so much for sharing! !